Mike Doig prepared this talk some time ago as a backstop presentation in case one of the scheduled speakers at the Rotary Club of Wellington cried off at the last minute. Amazingly, he had this at the ready while 160 speakers did their stuff, and every one of them made it, so it never got used! ‘Death in the Mountains’ is the true story of four famous men, two English brothers and two New Zealanders, who were rivals. The brothers both died at the tops of (different) mountains. This was a story of four famous men, who were connected in a curious way. Two of the men were English, and were brothers. They died high in the mountains. The other two were New Zealanders. Three of the four men were knighted. Each of the brothers was a rival of a New Zealander. 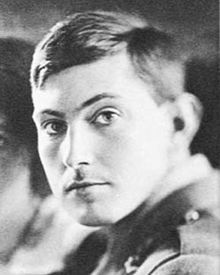 The brothers were called Mallory; George Mallory (1886-1924) was an alpinist, and Trafford Leigh-Mallory (1892-1944) was a prominent RAF officer who played a key role in the Battle of Britain. 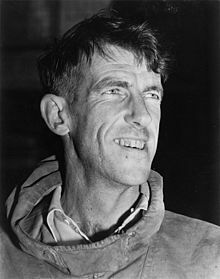 George Mallory’s rival, although he wasn’t aware of it, was Sir Edmund Hillary (1919-2008). Trafford Leigh-Mallory’s rival was New Zealander Air Vice Marshall Sir Keith Park (1892-1975). It is generally accepted that Hillary and Tensing were the first men to reach the summit of Everest, in 1953, but it is possible that George Mallory may have done so in 1924. He and Andrew Irvine made an attempt on the summit but both died. Mallory’s mummified body was found in 1999 at about 27,000 feet. Evidently he had been descending the mountain when he suffered a fatal fall. Trafford Leigh-Mallory and Keith Park were rivals in Fighter Command during the battle. 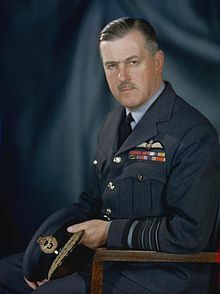 Leigh-Mallory was in command of 12 Group, and Park, 11 Group. Park’s Group, covering the south-east of England, bore the brunt of the fighting and attracted great public admiration. This intensely annoyed Leigh-Mallory, who proposed alternative tactics (‘Big Wings’) which would bring his 12 Group squadrons into the battle. Historians are generally agreed that Park and the head of Fighter command, Sir Hugh Dowding, had adopted the correct tactics, but both became victims of vicious RAF politicking at the end of 1940. Leigh-Mallory’s career flourished, but he and seven others perished when his aeroplane crashed high in the French Alps in 1944. He was en route to a new posting in Colombo. Park survived the war, ironically taking over Leigh-Mallory’s command in the Far East. He returned to New Zealand and was for a time on the Auckland City Council. 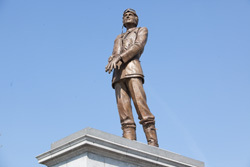 Park’s contribution to Allied victory in WW2 was finally recognised with the unveiling of his statue in Waterloo Pace, London, in 2010. Mike researched these events after discovering that his father had been in a team which prepared Leigh-Mallory’s aircraft for its trip to Colombo. Youth Chair Terrie Turner reported on the Grant a Wish project. About eight of the primary schools in Porirua East will benefit in various ways when their wishes are granted. The wishes range from swings, volleys balls, netball bibs, magnetic letters, numbers and funny money for learning games to a Hall sound system and plants for a community garden and a boundary area. About $10,000.00 will be spent. Salvation Army’s annual street day appeal will be held next week, and volunteers are needed. Contact Porirua Salvation Army. The history of Aotea College's Mock Interviews is being researched. Watch this space next week. Original generation time 1.4589 seconds. Cache Loaded in: 0.0259 seconds.